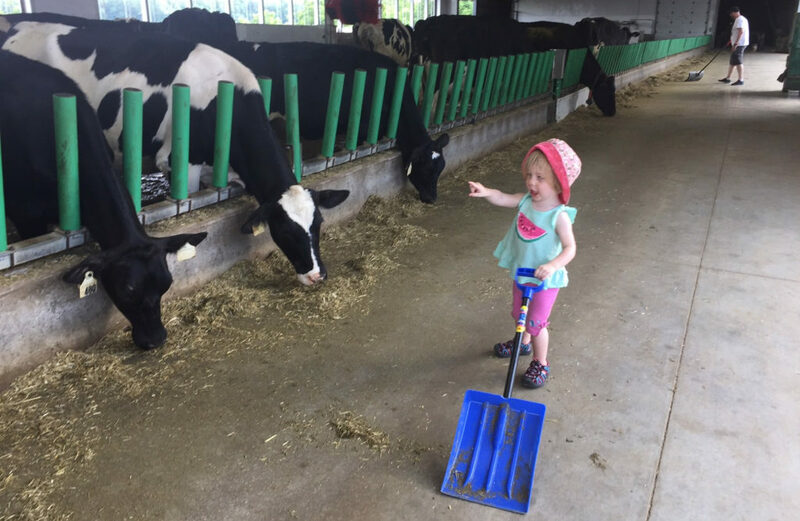 Adelaide found “Cows” at Mapleton’s Organic Dairy and declared it for all to hear. And just like that, she’s talking. 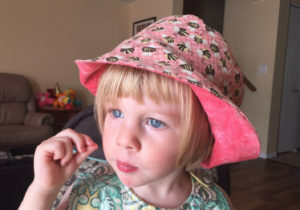 Sure her words aren’t the most clear all of the time, but she’s discovering sounds and creating sentences and loudly declaring anything that she recognizes so that everyone will know that she has found a fork, or a dog or a truck. It’s been going on for months – her mouth forming words, so this shouldn’t come as a shock. But somehow this is. She got her haircut just over a week ago and since then it’s like she’s aged 6 months and is far older than this one-year-old about to turn two. Yesterday as she played with her alphabet magnets, she loudly yelled out different letters of the alphabet. They didn’t match the magnet she held but she was trying to spell out words and was so confident in doing so. At daycare she yelled out “Carinna I’m high” after climbing the rock climbing wall up to the top of the play structure. And then following up with “I go down slide”. Her babysitter was dumbfounded as it was like she was not the same baby anymore. She was a full blown toddler. My husband calls her a “senior baby” and now she is a “senior executive baby.” I think there’s no denying her status – she is a Toddler with a capital “T” and I love her more than anything. In less than a month, my little girl will be turning two and it’s going to be so magical and amazing because I never thought I’d reach this level of parenthood. We tried for so long to have a baby, that to have a two-year-old in the house is an incredible thing. Every new word she learns and every new skill she masters I stare at her and marvel at her awesomeness. I made this wonderful thing and she is awesome. 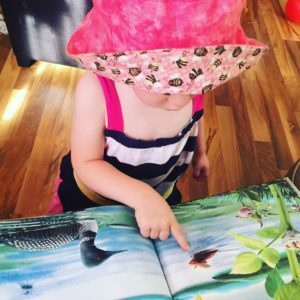 A friend laughed when I told her how amazing it is to hear my daughter say “Mommy” in a way where it sounds like she has something really important to tell me. “That’s cute that you still love her talking,” she said. Her voice was missing so long in my heart and it has filled me up and made me realize a love I never knew existed. And the girl with that sweet little voice that I love, she’s going to be two July 31st.